Zero Waste Week – Rethink Your Rubbish! Today’s Zero Waste Week theme is #TrashlessTuesday. This is a challenge for people to have a ZERO WASTE day of your own. 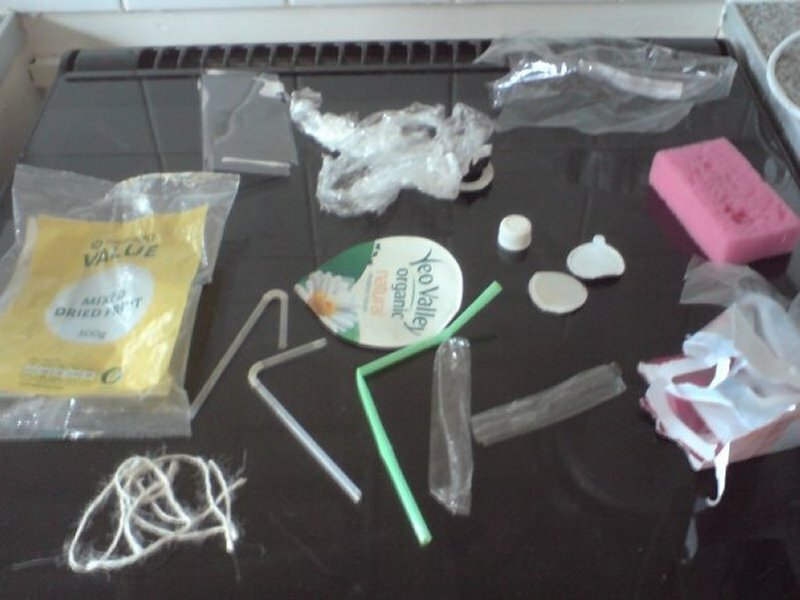 Anything you cannot think how to recycle then carry around in a clear plastic bag (well that’s optional). But think about what the trash is that you are producing? Is there no way it could be recycled, upcycled, mended? If you are stuck you may find that someone on the #ZeroWasteWeek hashtag has a solution for you! In February 2009 we took part in a Zero Waste Week. This was a week’s worth of rubbish for a family of 5. I was heavily pregnant with our fourth child and our other children were 16 months, 5 years old and twelve. 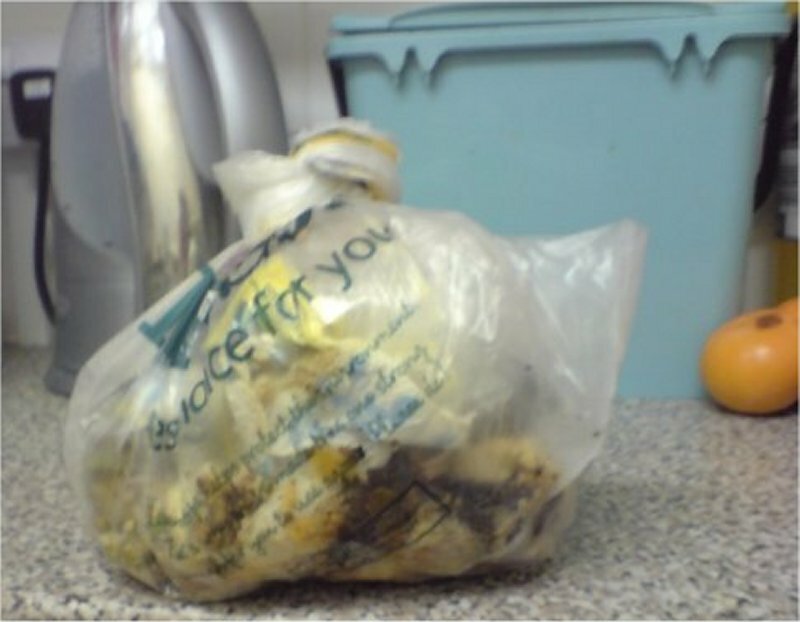 It was – mainly food waste from the toddler – which now could have been put in our food waste caddy that is collected by the local council. The key was to really think Zero Waste when we shopped. For instance it may be cheaper to buy bananas in a plastic bag than lose – but at what cost to the planet. We had fruit for breakfast (any skins etc going in our compost bin) and pancakes (of which all packaging could be recycled or also composted) – as we did not know what we could do with some of the cereal packaging. 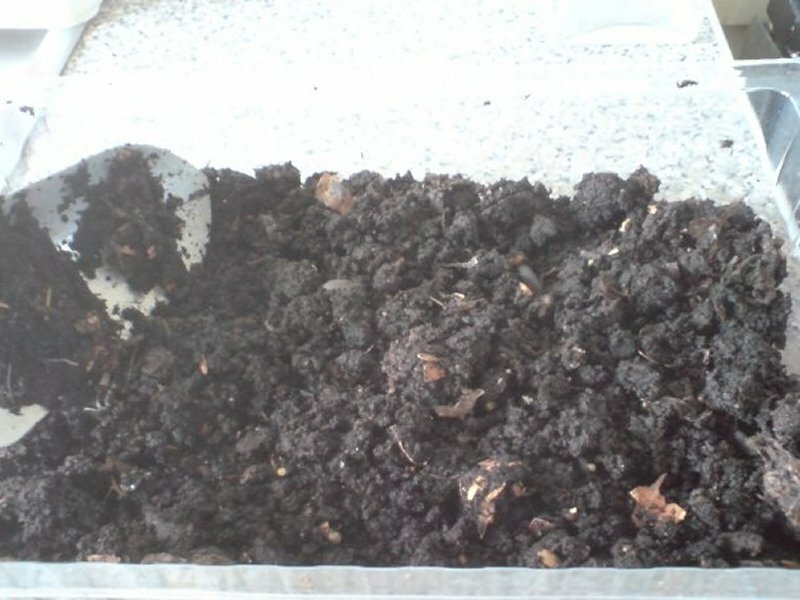 We used the compost made from our unwanted paper, peelings, egg shells, tea bags, hair cuttings and cardboard to grow more food. It was so wonderful to see the cycle of life. I am sure it is why we also get so much nature in our garden too – like our “pet” hedgehog! 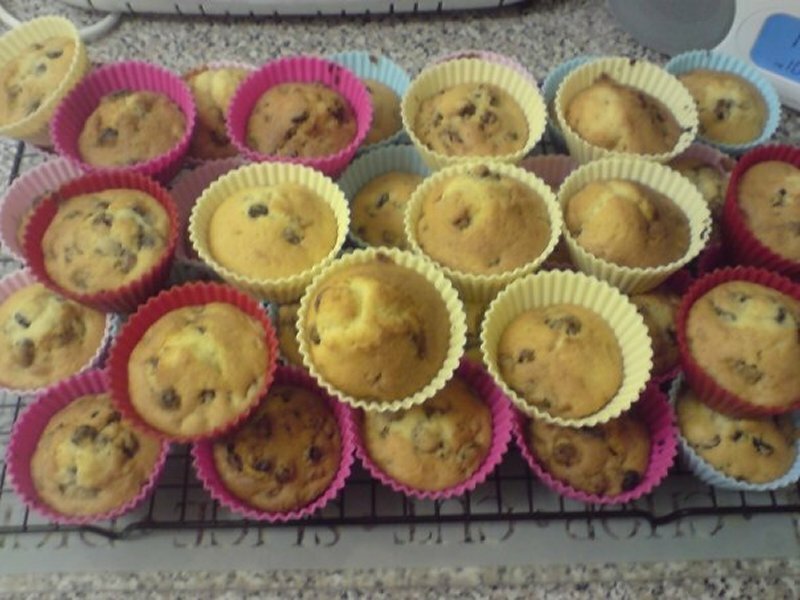 We invested in some reusable cake cases to make snacks – which also made good lunch box fillers. Ideally we would have made our own bread too – but still have not got around to trying this. I now buy big pots of yogurt (the tubs are recyclable) and split it into small reusable tubs – so that I am using less products that require recycling too (as this also comes at a cost to the planet). Finally the things we couldn’t recycle were mainly plastic and we made a model out of them. I too am going to really take stock of what goes into our bin and rethink whether I need to buy them in the first place, if there are any alternatives – or what I could do with them instead. For example in the image below I know that there are many other options than the plastic straws. 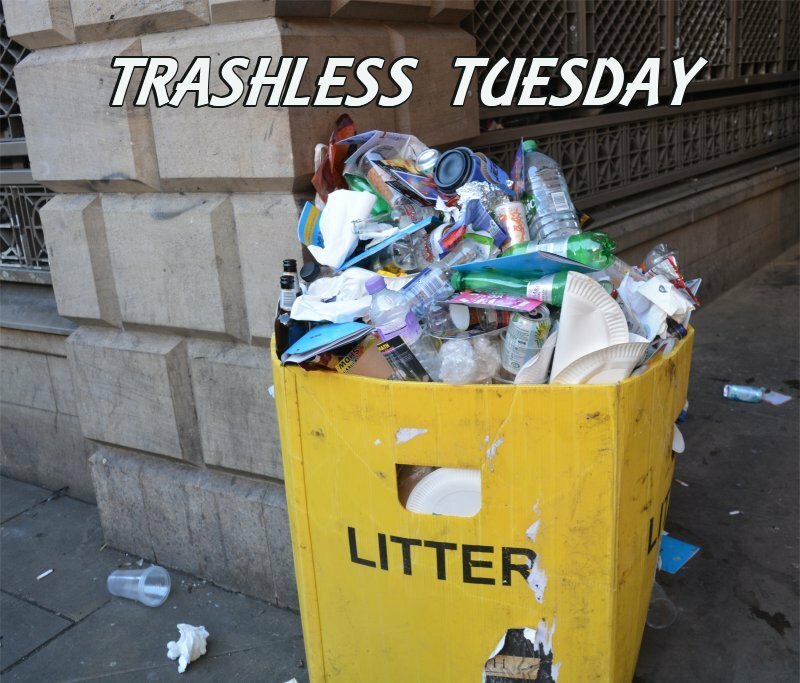 I would love to know if you are taking part in #TrashlessTuesday and how you are getting on. Remember there’s plenty of people to help on the #ZeroWasteweek all week. Do you have any tips or advice for making the challenge easier? What do you think you will struggle with – or what have you been unable to do something with. Pop it in the comments and maybe someone else can find an answer for you. I’m not taking part in Trashless Tuesday, but like you, our bin is just full of plastic packaging – wrappers and things like the bags out of the cereal boxes, not to mention small yogurt pots! I do like your idea of buying a big pot of yogurt and dividing it up. Our council is improving the roadside recycling soon and I think I will be able to recycle more plastics then. This is such an important message and I’m certainly guilty of not recycling enough sometimes. I must get better at it! Such a great post and food for thought for all of us. I really can’t stand all this packaging but sometimes the convenience thing gets the better of us like the plastic bags bananas come in and I’ve never thought about this I’ll be buying loose from now on! I try my best to NOT waste things – specifically FOOD. I HATE FOOD WASTE and only buy what I NEED. My husband is a little less adamant about this, but he too doesn’t really buy MORE THAN what he knows he will eat. However, if he ever messes up a recipe, he tends to just throw it away and start anew. Where as me, I will just MAKE DO with the mess LOL! I try to recycle a lot. My recycle can has way too many boxes in it though. We are quite obsessive about recycling but when it comes to food waste, we are quite bad with it! Need to try harder! Such a great post, I would love to recycle more than I currently do. Thanks for taking the time to promote recycling. Such a great post to get out there Joy. I love to recycle and reuse whenever possible. At the minute I am making an old wardrobe into a fence to stop my dog from going behind the shed. This is a great idea. We do recycling here and I think it’s effective. We should take care of our nature more. Having a Zero Waste Week is a great idea. I will have to challenge my family for next week. It will really make you be aware of how much waste we create. I didn’t realise that plastic straws are not recyclable 🙁 That’s how my disabled daughter drinks, and I’m not sure of there’s an alternative that works. The bulk of the rubbish here is nappies, and I keep trying to source adult reusable ones without much success. But hopefully one day. Oh gosh, we make so much trash at our house. Totally need to work on that, for sure. It’s hard not to make trash when you have twin 1-year-olds. I’m certain we can improve, though! I am always thinking about the trash. It is so important to recycle and to do our best to minimize garbage. A Zero Waste Week is a great idea. It keeps you focused on finding a better way to avoid waste. I always make sure to recycle and doing the best i can to keep our beautiful planet beautiful. I love your idea of a zero waste week, I’d be up for the challenge! I love how much this post got me to thinking about what more we can do to recycle and upcycle. I’ve never heard of Zero Waste Week. Trashless Tuesday sounds like a great plan. I love to recycle. I do my best to be careful of not wasting. Great post – we have been a lot more concious of our waste recently. Our food waste goes into our countertop compost bin, everything else hets recycled as possible. A no-waste week would be a great challenge for us! I dig Trashless Tuesday. I recycle everything (I’m that weirdo who brings her water bottle home from the party so I don’t have to put it in the trash can lol, and I go around the neighborhood picking up trash with the kids. I love the whole concept of this, but I don’t know if I could keep up with it.. maybe a day, but after that I’d definitely be creating trash. I like how you manage to be waste-free in a week. This inspires me and I will do this at home. Thanks for sharing! I need to think about this more, we have so much rubbish. The recycling bin is always full of packaging from blog deliveries, and the bin is always full of unnecessary supermarket packaging. I do hope some supermarkets are taking note of the zero waste movement and helping by cutting down on packaging. The people that do this for a lifetime are so impressive. But the benefits of doing it for just a week are also amazing. Not only do you reduce trash for that week, you also learn about all the trash you can avoid creating. This is a great lesson for weeks when you’re not doing zero waste.